This year’s International Short Film Jury will award the Golden and the Silver Bear, and the Audi Short Film Award. It will also nominate a short film for the European Film Awards in the category Best Short Film. 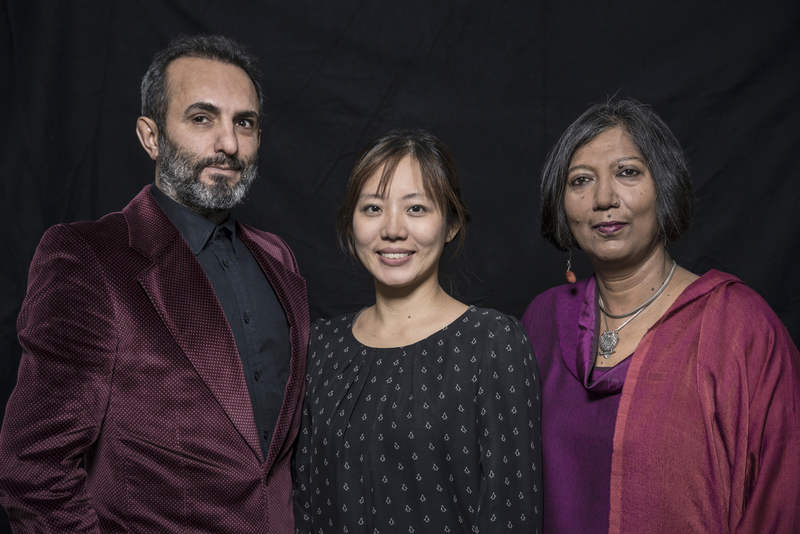 The prize-winners of 2015 will be chosen by Wahyuni A. Hadi (curator, author and Executive Director of the Singapore International Film Festival), Halil Altındere (artist, curator and publisher of art-ist Magazine) and Madhusree Dutta (filmmaker, curator and pedagogue). Since the 1990s, filmmaker, curator and pedagogue Madhusree Dutta’s inter-disciplinary engagement revolves around urbanology, migration, gender and identity. Madhusree’s films have been screened at film festivals and art events all around the world. Her latest multi-disciplinary, multi-scalar curatorial project Cinema City(2009 – 2014) was shown at Berlinale Forum Expanded in 2010. She is the executive director of Majlis, a centre for rights discourse and multi-cultural art initiatives in Mumbai. Video from Madhusree Dutta and Wahyuni A. Hadi before the beginning of the Berlinale 2015.